The UK has seen elections three times since the First World War which have produced outcomes in which one party has won more seats, but finished second in vote share. Alun Wyburn-Powell argues that Britain’s First Past the Post electoral system could be set to produce a similar outcome at next year’s General Election, with the increasing drift towards a multi-party democracy and the weakness of the two main parties threatening to produce the most perverse outcome yet. The UK’s quirky electoral system is widely liked for its supposed ability to deliver strong single-party governments, exaggerating the winning party’s advantage in terms of seats. But, this view rather overlooks the fact that under First Past the Post the UK has actually had a coalition government for 25 of the last 100 years and that in three general elections the party with the most votes did not win the most seats. This happened in 1929, 1951 and the February 1974 general elections. Storm clouds gathered after each of these elections. The 1929 general election was held at the end of the only single-party government to serve nearly a full term between the wars. Conservative Stanley Baldwin, fighting on a slogan of ‘Safety First’, won 38.2% of the vote, but fewer seats (260) than Ramsay MacDonald’s Labour Party with 37.1% of the vote (288 seats). MacDonald formed his ill-fated second ministry. The 1929 election was in May. 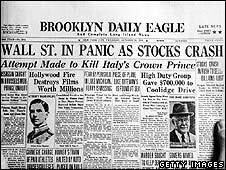 In October Wall Street crashed. In 1951 Winston Churchill finally won an election at his third attempt. Even though he had already been prime minister for five years, he had lost his two previous contests as party leader (in 1945 and 1950). In October 1951 he attracted 48.0% of the vote, but won more seats (321) than Clement Attlee’s Labour Party which had achieved 48.8% of the vote (but only 295 seats). Churchill offered Liberal leader, Clement Davies, a coalition, but the Liberals rejected the offer. Churchill took power with a fragile overall majority, but just over a year after his victory he had to contend with the East Coast Floods – a lethal combination of a cyclone, a gale from Europe and a high tide. In February 1974 Conservative prime minister, Ted Heath tried to resolve an industrial dispute with the miners by calling an election to answer the question ‘Who governs?’ The response from the electorate was to give Heath 37.9% of the vote (297 seats), compared to Harold Wilson’s 37.2% for the Labour Party. But Labour won more seats (301). Heath tried to persuade the Liberals, under Jeremy Thorpe’s leadership, to agree to a coalition. But this second proposed Conservative-Liberal arrangement was also rejected by the Liberals. This time it was the Labour Party which took power, but without an overall majority until after the second election of the year in October. So, not only have we had coalitions for a quarter of the last century, we have also had aborted negotiations which could have led to others. But, the quirks in the First Past the Post system extend beyond just the ability occasionally to deliver victory to a party with a smaller share of the vote. The system can also work to the extreme disadvantage of parties with evenly-spread, but sizeable, shares of the vote. The most prominent example of this was the fate of the Liberal-SDP Alliance in the 1983 general election. The Alliance achieved 25.4% of the vote, but only 23 seats, while the Labour Party, just ahead on 27.6% of the vote, won 209 seats. Even then the Alliance results were helped by the fact that 17 of the seats were won by Liberals in areas of established Liberal strength and of the six seats won by the SDP, five went to sitting MPs. The Alliance gained plenty of (rather worthless) second places, something for which UKIP is now building a reputation in by-elections – Eastleigh, Wythenshawe and Sale East, South Shields, Middlesbrough, Barnsley Central, Rotherham and now at Newark. There are further quirks in the system which favour parties which concentrate their vote in seats with smaller electorates (particularly in Wales and urban England) and in those with lower turnouts (mainly urban). The Labour Party currently benefits most from this pattern of support. It also tends to win more seats with smaller majorities than its competitors, thus spreading its vote most efficiently. Hence in 2005 Tony Blair was able to achieve a comfortable parliamentary majority on 35.2% of the vote, while in 2010 with the Conservatives on 36.1% the party was short of a majority. Then there is the effect of tactical voting. In past elections this has tended to disadvantage the Conservatives. This was particularly true in 1997 when Liberal Democrat and Labour supporters voted tactically to keep Conservative candidates out. In that election the Liberal Democrats’ share of the vote went down, but their tally of seats doubled. There is some evidence from recent YouGov polls and from the Newark by-election that UKIP is polarising opinions, with some people strongly supporting the party, but an increasing proportion feeling strongly against it. Those who want to prevent UKIP winning a seat could vote tactically for whichever other party appears to have the greatest prospect of stopping UKIP. This would normally be the incumbent party. The effect could be to shore up the vote of incumbent party candidates and mean that fewer seats change hands. Gladstone loved studying the effects of ‘political meteorology’. What would he have made of the prospect of all these elements of a perfect political storm coinciding? It is not too difficult to imagine an election where several parties achieved a very similar share of the vote – in fact it just happened in the European elections. UKIP won 26.8% (not too dissimilar to the SDP-Liberal Alliance total in 1983), Labour won 24.7% and the Conservatives 23.3%, Greens 7.7% and Liberal Democrats 6.7%. Between now and the 2015 general election it is within the realms of possibility that the vote shares could stay roughly the same, but that the UKIP high tide will have just passed. (The Liberal-SDP share of the vote had peaked at 50.5% in opinion polls before the 1983 election). It is also entirely feasible that the Conservative vote may increase due to improvements in the economy, to the point where the party’s vote just overtakes that of the Labour Party. We could be left with a situation where the shares of the vote end up at, say, UKIP 26%, Conservative 25%, Labour 24%, Liberal Democrat 12% and Green 8%. Th is is not a forecast, but it is a feasible (if unlikely) scenario, which illustrates how the First Past the Post system could produce a very perverse result. With these shares of the vote, with all the elements of political meteorology in play, the system could deliver UKIP no seats (but hundreds of second places) and the Labour Party more seats than the Conservatives, but short of an overall majority. The Liberal Democrats could lose half their vote, but keep most of their seats. The outcome could be that the party with the most votes won no seats, the third party got into power, ending up in a coalition with the fourth party, which stayed in government despite halving its share of the vote. We could be heading into the perfect political storm – a cyclone of switching voters, a high tide of UKIP support and a gale from Europe, but in terms of seats, when the storm has passed nothing very much might have changed. Of course “First Past the Post” is a lousy misleading name for a lousy misleading system. Under “first past the post” it is very rare for anyone to reach the “winning post”, so it should be better called something like “Best Failure” or “Least Worst Failure”.